Filaments of the special PLA category encompass multiple PLAs with different properties. From PLA filaments with similar properties to those of ABS, PLA Soft or Flexible, PLA from Proto-Pasta among which the electrically conductive, the magnetic, the PLA with stainless steel and the PLA with Carbon Fiber stand out. Ideal for use in low voltage circuits, Arduino, tactile sensors, robotics and electronics. Ideal for use in low voltage circuits, Arduino, tactile sensors, robotics and electronics. Cuts composed of carbon fibers provide excellent structural strength. Cuts composed of carbon fibers provide excellent structural strength. Filament offering an appearance and a density similar to stainless steel. Filament offering an appearance and a density similar to stainless steel. Ferromagnetic filament is a composite of PLA with iron attracts magnetic fields. Ferromagnetic filament is a composite of PLA with iron attracts magnetic fields. 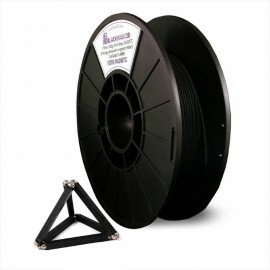 This is a flexible filament with properties durable rubber. This is a flexible filament with properties durable rubber. Filament designed for large pieces that could pose warping effect. 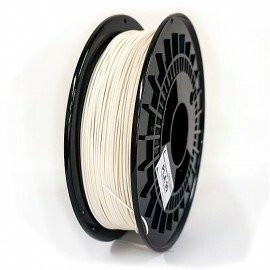 Filament designed for large pieces that could pose warping effect. 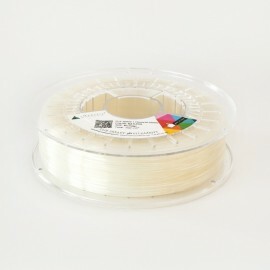 It is less fragile than standard PLA filament and characterized by greater resistance to temperature. 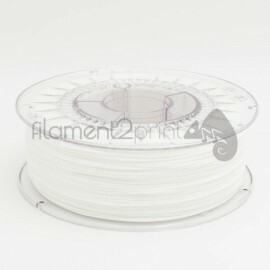 It is less fragile than standard PLA filament and characterized by greater resistance to temperature. This is the first reflecting filament for 3D printing. This is the first reflecting filament for 3D printing.